We combine cutting-edge medical research with our expertise to help you hire healthy workers and minimize workers compensation cases and costs through pre-employment physicals and drug screening. When your employee is injured we help you determine the true extent of injury through workers compensation evaluations and help you know the length of time your injured employee will need for care and rehabilitation. Dr. Ted Wyman is the Medical Director of the Occupational Medicine Program at Rancho Paseo Medical Group and brings expertise in workers compensation evaluations, orthopedics, and occupational medicine. Dr. Burton Wang, and Dr. Candice Lee-Wang also provide care for occupational injuries. You can keep track of the progress your employee is making and stay up-to-date on their care through our employer portal account. This portal helps you make strategic temporary hiring decisions to compensate for the loss of your injured employee and anticipate their return to the workforce. We offer a variety of services and options for industrial accounts including pre-employment physicals, drug screens, work injuries, and x-rays. Working with both small and large businesses in our area, we know your desire as an employer to get timely and quality care for your workers. Walk-Ins / Urgent Care Availability – send your employees when they are injured. 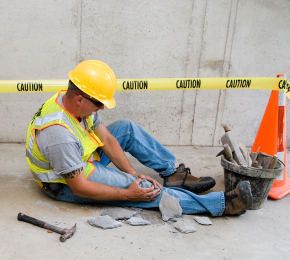 Experienced Occupational Injury Physicians – get quality care for your employees. Drug Screen Services (escreen clinic site, certified drug screen collectors, DOT collections, 5-10 panels, & custom panels). Employer Portal Account – receive complete documentation of work status through our portal securely and timely.